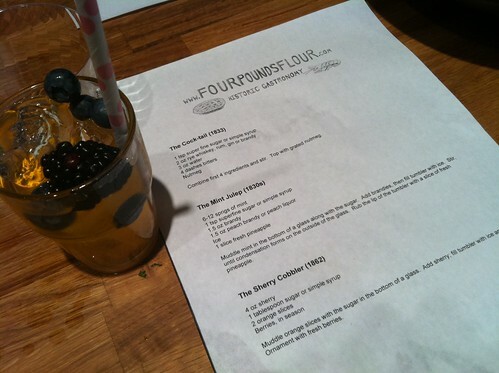 Sarah Lohman of FourPoundsFlour taught about historic cocktails at Brooklyn Brainery. We made The Cocktail, Mint Julep and Sherry Cobbler and sipped them through paper straws. Booze + Fun Facts = Big Smile. Find out what other classes they offer here.